Voice over IP (VOIP) as a disruptive Telephony technology is becoming a defacto standard for any company, home, business that needs to drive business growth through effective communications. Technology is changing the way we work, live and play, and as such we need new communication tools, software to keep up to date with modern technology. VOIP is a means of Internal & External telephone communication using voice, Video, text messaging through a unified communications infrastructure. Flexible, scalable, cost effective and future-proof IP telephony is the way forward for business communications. In Every business, there is a need for effective internal communication between staffs and external communication to branch offices and clients. VoIP uses the IP Technology to carry voice, video, messaging and data traffic rather than the traditional public telephone network making it a cost-effective way to place phone calls. Corporate companies can utilize VoIP phone Solution to communicate internally and between branch offices no matter the geographical location for free, hereby saving money. Unlike the traditional PBX system with high equipment and maintenance charge, VoIP utilizes your already existing network infrastructure. There are multiple benefits of using VoIP which include its multiple features, easy setup, low cost hardware and software, no geographical boundary, integration of voice, video & text messaging, and cost savings. Are you an IT manager, and you are interested in using VoIP to increase your company’s communication and Return on Investment? Why not give us a call? In VoISIP, we have VoIP & Video Collaboration experts up to CCIE level. Whether you are a small company or a large company with thousands of staffs, you need a partner that not only understands converged networks, but one that understands how telephony can fit into your business processes and make them more efficient to ensure the implementation is as smooth as possible. We offer both proprietary and open source solutions to suit your varying needs. Deploying VoIP in a small and medium business does not simply replace your existing phone system, but also adds much more features, prestige, quality and fluidity in the organization. Besides, the main reason for deploying VoIP into a small business is the shrinking down of communication costs. Finally, a VoIP system and a traditional phone system do not compare; the former is much better. Below explains how VOIP can be used in different industries. The legacy phone system assigns a phone number with a dedicated line, so you generally cannot move your home phone to another place if you want to use the same phone number. It is a common hassle to call the phone company and ask for a phone number update when moving to a new house. However, VoIP provides number mobility: The phone device can use the same number virtually everywhere as long as it has proper IP connectivity. Many businesspeople today bring their IP phones or soft phones when traveling, and use the same numbers everywhere. 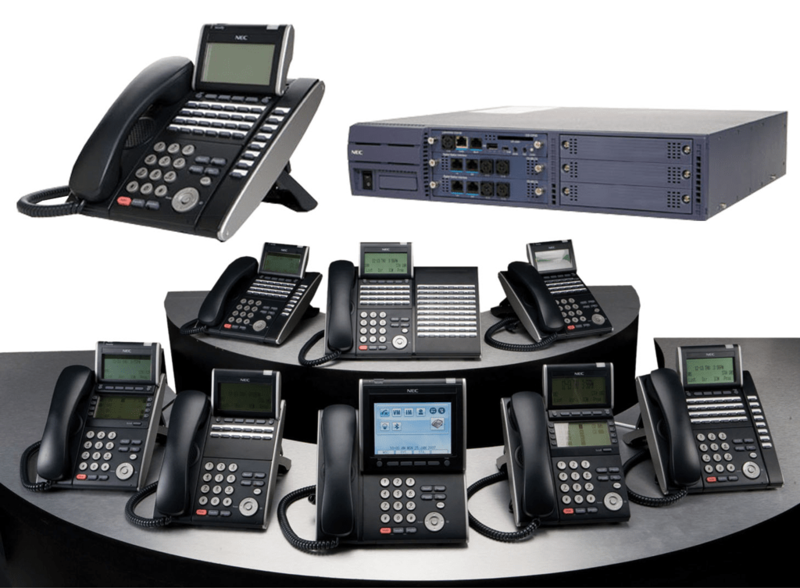 The legacy phone system mainly provides voice and fax service even though limited video service is possible. However, the demand of users is much higher than that, as shown in today’s rich media communications through the Internet. People check out friends’ presence (such as online, offline, busy), send instant messages, make voice or video calls, and transfer images, and so on. VoIP technology makes rich media service possible, integrating with other protocols and applications. Rich media service not only provides multiple options of media to users, but also creates new markets in the communications industry, such as VoIP service in mobile phones. The context of mobility here includes service mobility as well. Wherever the phone goes, the same services could be available, such as call features, voicemail access, call logs, security features, service policy, and so on. Most VoIP service providers provide a user control interface, typically a web GUI, to their customers so that they can change features, options, and services dynamically. For example, the users log in to the web GUI and change call forwarding number, speed dial, presence information (online, offline), black/white list, music-on-hold option, anonymous call block, and so on. VoIP provides rich features like click-to-call on a web page, Find-Me-Follow-Me (FMFM), selective call forwarding, personalized ring tones (or ringback tone), simultaneous rings on multiple phones, selective area or country code, and so on. The VoIP service area becomes virtualized without geographical limit. That is, the area code or country code is no longer bound to a specific location. For example, you could live in South Korea but subscribe to a U.S. phone number, which makes it possible that all calls to the U.S. become domestic calls (cheaper) even though you live in South Korea. In order to successfully communicate with other branches in your organization, there needs to be a cost effective way. VOIP can be setup in a way that employees can communicate freely. VOIP call s between branches are almost free and employees can communicate for free on the same branch. VoIP protocols (such as Session Initiation Protocol [SIP], H.323) run on the application layer and are able to integrate or collaborate with other applications such as email, web browser, instant messenger, social-networking applications, and so on. The integration and collaboration create synergy and provide valuable services to the users. Typical examples are voicemail delivery via email, click-to-call service on a website, voice call button on an email, presence information on a contact list, and so on. VoIP’s most-attractive feature is its cost-saving potential. When we move away from public switched telephone networks, long-distance phone calls become inexpensive. Instead of being processed across conventional commercial telecommunications line configurations, voice traffic travels on the Internet or over private data network lines. Call Administration also cuts costs. In an organization, there is always a need to communicate with customers, clients, remote staffs, etc. This results in different cadres of staffs being given recharge cards, or prepaid lines which are expensive to maintain. With VOIP, there is no need to doll out such airtime to staff. All you need to do is recharge a central line which everyone or some designated people have privileged access to. This results in reduction of telephone call cost and Centralized management. Also, the network administrator’s burden may be lessened as they can now focus on a single network. There is no longer a need for several teams to manage a data network and another to manage a voice network. For consumers, VoIP reduces the charge of subscription or usage, especially for long distance and international calls. Voice Mail System (also known as voice mail, voice message or voice bank) is a computer-based system that allows users and subscribers to exchange personal voice messages; to select and deliver voice information; and to process transactions relating to individuals, organizations, products and services, using an ordinary telephone. A conference call is a telephone call in which someone talks to several people at the same time. The conference calls may be designed to allow the called party to participate during the call, or the call may be set up so that the called party merely listens into the call and cannot speak. Call park is a feature of some telephone systems that allows a person to put a call on hold at one telephone set and continue the conversation from any other telephone set. The “call park” feature is activated by pressing a preprogrammed button (usually labelled “Call Park”) or a special sequence of buttons. This transfers the current telephone conversation to an unused extension number and immediately puts the conversation on hold. (This is called parking the call; and the call is said to have parked onto a certain extension. Essentially, call parking temporarily assigns an extension number to an incoming call.) The telephone system will then display the extension number of the parked call so that the call can later be retrieved. Call parking is often useful in buildings with many offices or with more than one floor, and with most of the areas having access to one or more telephone sets. If the desired called party is not the person who picked up the call, and the desired called party is at an unknown location, the person who picked up the call may park the call and then use the public address system to page the desired called party to pick up the call. During a conversation, a person may need to go to another office for some reason (for example, to retrieve an important file); parking the call allows this person to continue the conversation after arriving at the other office. When installing a new VoIP System in your office, institution, or plant, it makes sense to extend the system to include mass notification. In today’s world, a mass notification system is necessary, especially in schools, malls, and large campuses. In IP paging, the announcer picks up the handset and dials the paging number. This simultaneously triggers the other phones in the same paging group to auto-answer and they can all hear what the announcer is saying. Find Me/Follow Me refers to two technologies that, in conjunction, enable incoming phone calls to be received at different locations, on different phones. Find Me” refers to the ability to receive incoming calls at any location. “Follow Me” refers to the ability to receive calls at any number of designated phones, whether ringing all at once, or in sequence. This is usually good for supervisors, employees who are always on the move but do not want to miss sensitive calls. They can have for example, their office extension, Mobile Cell phone & Home Phone. When Find me/Follow me is configured, the incoming call rings all the phones at once or in sequence depending on how the configuration was done. This way the users do not need to miss a call no matter where they are. The idea that we have to even ask what is call recording seems like a silly concept as the phrase itself lends enough explanation to the activity. Most of us have heard the message that our call may be recorded for training and quality purposes and we’re well aware of the activities of the NSA as of late.What we may not know, however, are the intricate ways that call recording could benefit organizations outside of the customer service center. In the days when we had access only to the landline, it was a challenge to try and record calls happening outside of the legacy phone system. Voice over Internet Protocol (VoIP) has expanded the capability, allowing for seamless recording, regardless of device or location. A Ring Group is a feature that allows you to have multiple phones ring when one extension or number is dialed. It’s a great way for a business to share the distribution of incoming calls among employees.t is often used to efficiently distribute calls to specific departments such as Sales, Customer Support and Accounting. Ring groups allow your employees to be more productive and help decrease customer hold time. If all of the users assigned to a ring group are unavailable, you have forwarding options that range from having the call sent to the ring group’s voicemail box, the call being transferred to another extension, or you could have the caller routed to your auto attendant.